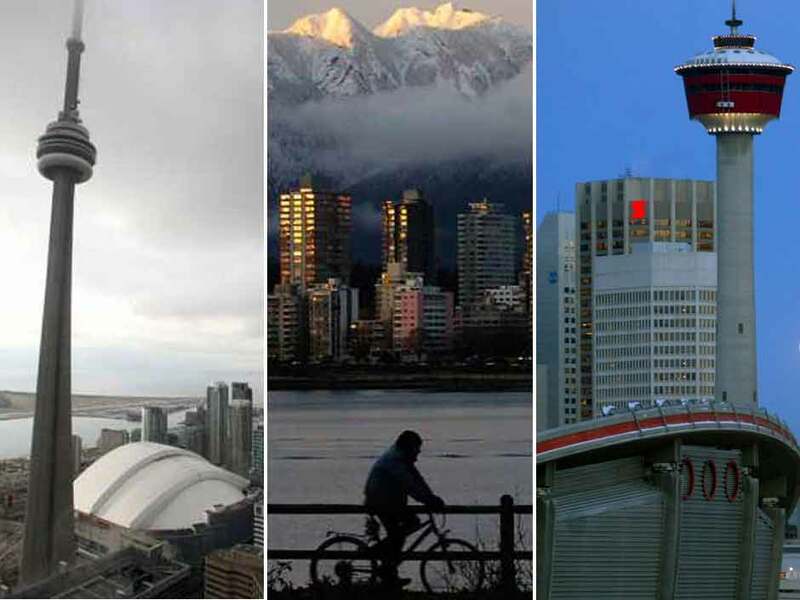 Increases in B.C. 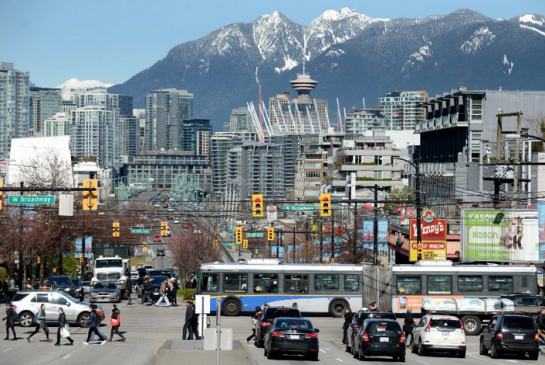 real estate prices have been so large that the value of 2018’s top 100 real estate deals in the province (biv.com/lists) jumped 61.1% to an average of $65.4 million from $40.6 million in 2017. Over the past five-year period, the average deal on the top-100 list grew 67.9%; most of that growth occurred over the past year, because in 2015 and 2017, the average value for the top 100 largest real estate deals declined. That erased some of the gains made in previous years. Since the low in 2016 of $30.7 million, the average deal value has grown 113.2%. The median real estate deal value grew 117.7% in 2018 to $30.4 million from $14 million in 2014. 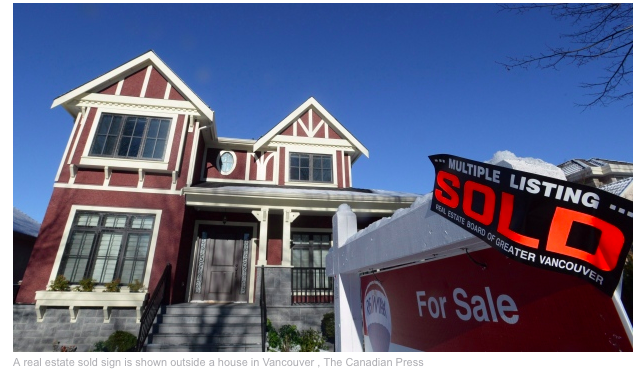 This suggests that smaller real estate deals grew more than larger deals on the list. 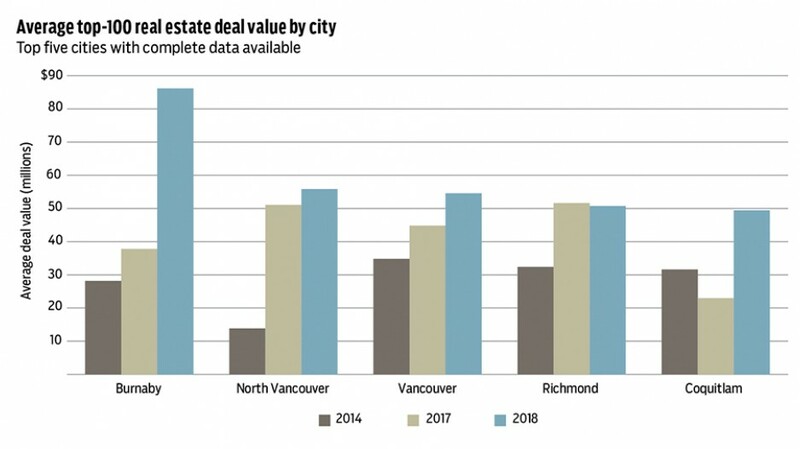 Vancouver is consistently home to the lion’s share of top-100 real estate deals, but for the past two years, it has not broken into the top five cities when it comes to the average deal value.